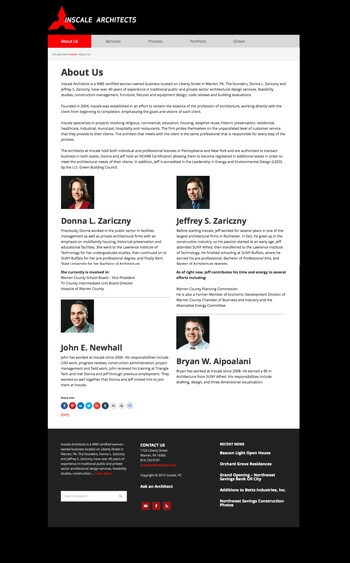 We began working on Inscale’s web presence after meeting the owner Donna Zariczny at a SBDC Networking group. Their main goal in the 2009 redesign was to create a professional web site which was easily manageable in-house. The firm returned to us in 2015 with a new objective, mobility. 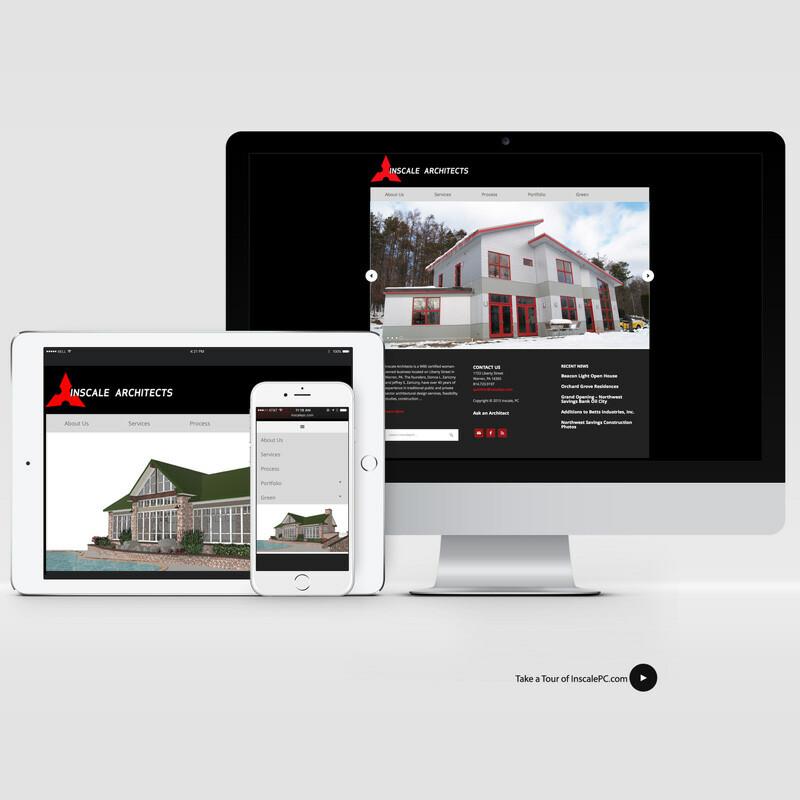 With the increase of mobile users in the market the firm wanted to make sure the site was ready for tablet and mobile devices. The stats on their site showed a 15% usage of mobile devices and the site needed to prepare for the eventual increase of users. The first website in 2009, was created in Joomla. The Joomla system at the time provided the firm the capability to update their own site and maintain an updated and professional web presence. In the six years since our initial design, Wordpress has become more prevalent. Wordpress provides more design flexibility and security and each WordPress template we design is both desktop and mobile responsive. The firm wanted to keep the basic look of their existing site but rework some items. 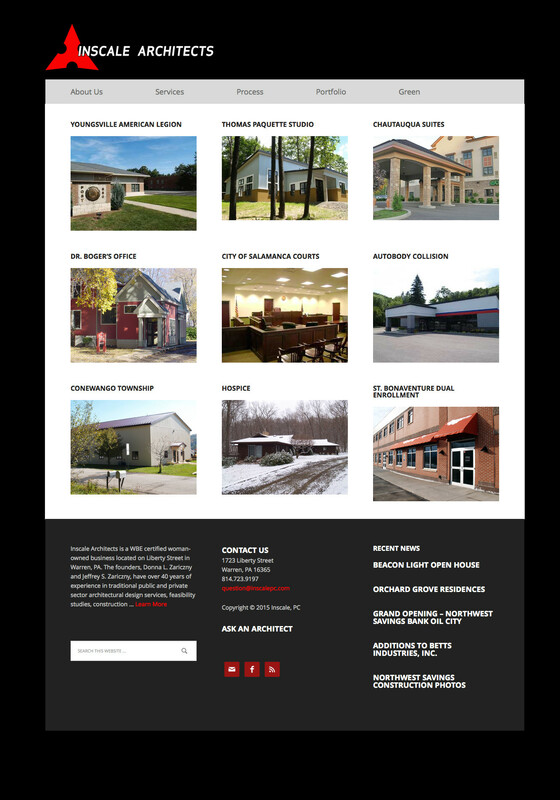 The slide show on the home page is now mobile responsive and shows the latest completed architectural projects. Wordpress offers unique Portfolio applications for architectural clients to add completed work easily and effectively. 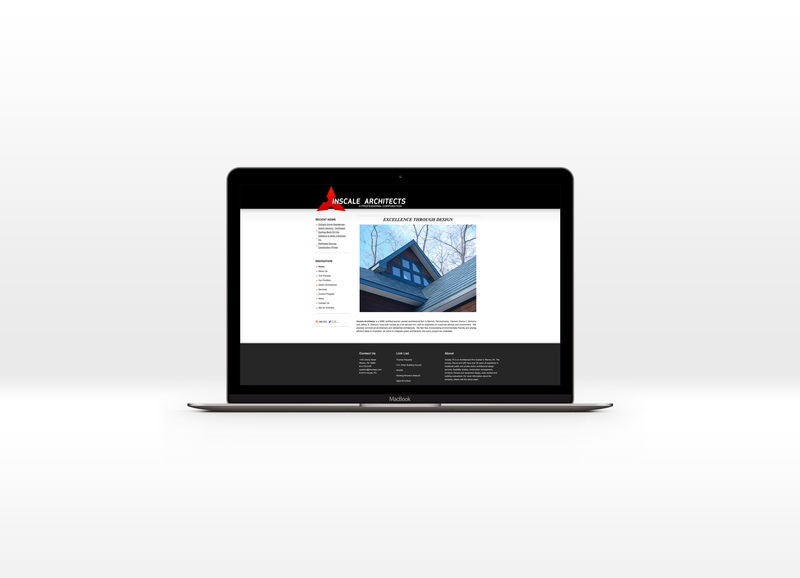 Once posted the portfolio additions become searchable for online viewers that are looking to make a choice for their architectural firm. The process of making new posts is simpler which increases the usage of the in house team to make posts. The site also now updates automatically to their social media platforms.